I have been using the ghd Curve Classic Tong Curler for about a month and a half now and have fallen in love with the results. As I don’t have much time to style my hair daily, as mentioned, I like to do something that could last me a few days. Usually on the first day ,styling is as simple as drying your hair, using a bit of coconut oil, pre heat spray and using the tong . It’s as simple as twisting the tong around your hair (in an outwards motion) and clamping it for about 3-4 seconds. The tool heats up very quickly and gives you a beautiful curl (if clamp is held on for longer), or a nice subtle wave (if left on for a shorter period of time). I tend to brush out my hair on the second day for a more nice “beach wave” look. 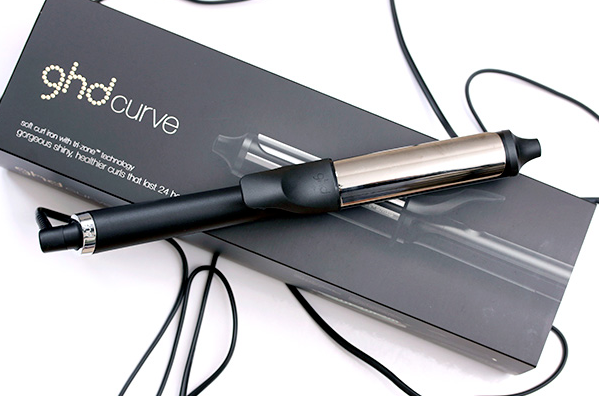 Let me know if you beauties have ever tried the ghd Curve Classic Tong Curler below! Overall, I would rate this hair tool with a solid 5 stars. Previous PostPrevious How my Face became so Clear! !